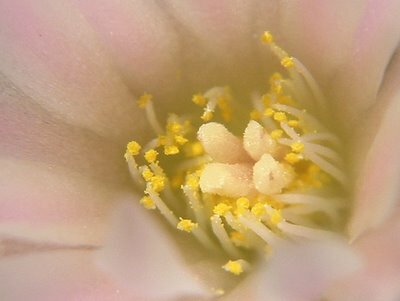 Looking at your success with flowering of this species and also the growing of it ,i am left astounded! It is indeed a magnificent species with long history,interesting biochemistry (heh,lets not get this down to gene regulation of its biochemistry!) ,and above all magnificent beauty. Im sure that if those two links got you interested in polyploidy then you can research it yourself further,these two articles are only scratching the surface. can be rooting but for the technique to work they must be ACTIVELY GROWING. evaporation and concentration rising is minimized. 7)Plant and watch grow.Note any differences in growth compared to their untreated "brothers".This could signify polyploidy. If you would like to learn more on it ,and most importantly where one could go after polyploidy (One of its uses could also have the opposite results on inbreeding :D ) then tell me so through here so i can conitnue. Thanks for the detailed information on inducing polyploidy – it’s new to me that this is actually possible (I’ve considered hybridizing but it never occurred to me that artificial “speciation” could be done by modifying the chromosome number). 1)Increased size.More chromosomes,bigger cells,bigger plants! 4)More varied crosses...Imagine a tetraploidy that will incorporate in its genome 4 varieties of williamsii,and propably a full haploid line of each.Interesting eh? Once you have a more detailed look at the refferences let me know! I have to admit this subject is interesting, but I’m wondering if I’ll be able to obtain and handle the equipment and chemicals (carcinogenic and otherwise poisonous?) needed for this. Do you think it would be feasible doing a “poor mans version” using colchicine extracted from Colchicum autumnale? Or would this not be sufficient for affecting layer 2 of the meristem and thus the reproductive tissue? I’m aware that colchicine is extremely poisonous as well. My dear friend dont be intimidated! If there is one thing you might lack this would be confidence in yourself carying out the procedure,you certainly dont lack the skills nor the knowledge of handling equipment. What we see here ,is you having many grafts.For them you used razor sharp blades (they can really make a person bleed) ,some humidity tents,let alone patience and knowing how to plant seeds. Me? Well ,let me tell you something.I have worked in a lad with pretty dangerous chemicals such as hydrofluoric acid which if spilled on one person it doesnt only burn,it attacks the bones displacing calcium,a quite agonizing way to destroy one's bone structure.Still i have the dexterity of a gorilla! My latest grafting attempt,an utter failure! I ended up crushing my seedlings accidentaly,what survived got grafted on two pereskiopsis.I kept knoking them off,and when i finally managed to put them in place ,i had only one upsidedown graft surviving.Today i found out that no matter my humidity tend ,it dried up! So im left very dissapointed at my skills and with two decapitated pereskiopsis and no lophophora seedlings.Oh and i was pretty close on accidentaly grafting my fingertips on pereskiopsis. See? The procedure i proposed is far easier.Ingredients are trifluralin, DMSO(Can be found easily ,purchased online),water,and tubes where the newly grafted tips can be submerged. If you wear gloves and employ the same care you employ when using razors this is a 10 minute no hazard procedure. Spillage on glove? Quick washing off! Spillage on working surface? Same. As far as obtaining trifluralin , if you like i could even supply you with some commercial brand,mailing it in some eppenorf tubes sealed in parafilm.Now,one would have to chew on them to get it in his system. This to no charge (note: why would a stranger do something like that? Because i admire your skills and you can pull it off ,plus it would give me an intellectual hard on seeing someone trying it). If you feel so obliged you could mail me back some lopho wiliamsii seeds that im short of and i would appreciate knowing they come from such nice stocks! So ,colchicine.Colchicine would not be preffered because is far more toxic for you AND toxic for plants.Given you would not rub that stuff on you,it means that you would have a far higher mortality rate of grafts than using trifluralin.Plus ,its not that good at tetraploidy it tends to give higher ploydy numbers which can get unstable. 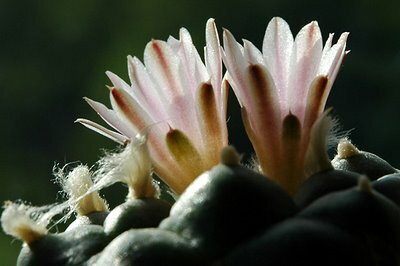 An extract from colchicum plants carries two disadvantages from my point of view.First its faaaar more work than the "mix,shake and employ" technique i posted. Secondly how do you standarize it? I mean,how do you know you have the appropriate colchicine concentration? Put all those together one would rather work with a known solution of trifluralin than mess with extracting colchicine.So colchine could be feasible but would be more unsuccesfull and painstaking. I can help any way you want me to,really.I just think you have the skills to do it, and above all the passion to carry it out and this is more than enough for me to even supply you with some chemical materials if you find it that hard to obtain. Tell me what you think.You have my full interest peaked. By the way do you have a pictorial with a complete list of instructions on loph on peresk grafts? Im badly yearning for one of them,im doing something wrong ,and my gorilla fingers are not helping me.I only hope i get better with time,since with delicate jobs i tend to have a quite slow learning curve that after 7-8 times it fortunatelly follows a geometric trent. A trace of DMSO can be used to carry whatever thru cell walls (including yours). Combine this with Trifluralin, a suspected carcinogen, and I start to get cold feet. Also, according to both the UK Environment Agency and the World Wide Fund for Nature (Pesticides News, No 50, December 2000) Trifluralin is an endocrine-disrupting chemical, i.e. it has adverse, ‘gender-bender’ effects by interfering with the body’s hormones, or chemical messengers, and are active at even miniscule levels. Given these facts I tend to think experiments like this should take place in a more controlled environment than my kitchen or living room. Still, it would be an interesting experiment. A responsible,sober,glove-wearing adult that can focus on preparing the solution for 10 minutes i believe can carry this out safely.Well,the same way one handles a razor really...You wouldnt run around your house holding a scarpel ,would you? Well certainly not,you wouldnt want to fall on it.Same with any other potentially dangerous instrument or chemical : you use it where you have to,you get on with it and it finishes safely.One could put plastic cover on the working area, wear double gloves when working with it ,dispose of everything in bags ,and then wash thrice the underneath of the are he put the plastic on just to be safe. Its an interesting experiment,for people that can be responsible... Well,isnt that the case for most of the things? You are on the money with your triflu./Dmso. I do something like this with other plants. and the plant breed and look great. 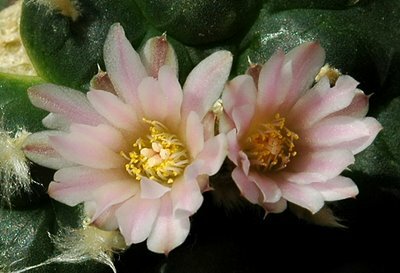 Sam, usually my plants start flowering around the beginning of May and continue blooming throughout September/early October. The plants become mature and ready to flower 3 to 4 years from seed. My plants are kept completely dormant all through winter and are only watered during late spring and summer; they get a bit of fertilizer every 3rd or 4th watering. Most of my plants seem to thrive on this regimen, but I also have a couple of plants that are very reluctant to flower - one of my plants I've had for almost 20 years but I've seen it flower only once (and it is growing under the same conditions as the rest of my plants); maybe it's a genetic thing? When was your plant last repotted? And what kind (and amount) of fertilizer do you use?